Scooters are one of the most common toys amongst young boys and girls alike. They provide endless hours of fun and their popularity does not seem to be diminishing. This is a testament to the toy, as a lot of kids toys tend to be loved for a few years and then they go out of fashion. However, kids scooters seem to be going nowhere. Kids scooters provide a whole host of fun for children. They are one of those toys that can provide entertainment for months and months; children simply do not seem to grow bored of them. Again, this is not something that not many other toys can boast. However, being fun is not the only advantages that a scooter for kids possesses. In fact, scooters can bring with them a whole host of benefits and thus they are certainly a sound investment for any young one. This article will reveal exactly what those other benefits are. The first benefit is that your children will be having active fun because playing on their scooter is obviously a form of exercise. This is important as obviously the need to be healthy is crucial. This is particularly great when you consider that most toys and games these days revolve around children sitting on the sofa all day staring at a TV screen. This makes it very hard for parents to inject a healthy mantra into their child’s life. However a toy such as a scooter does just that. Another benefit of having a scooter is that it will increase your child’s confidence. As your child becomes more competent on the scooter they will feel more and more proud of themselves. Thus there self confidence will increase and they will feel confident and able to take on other tasks and challenges. 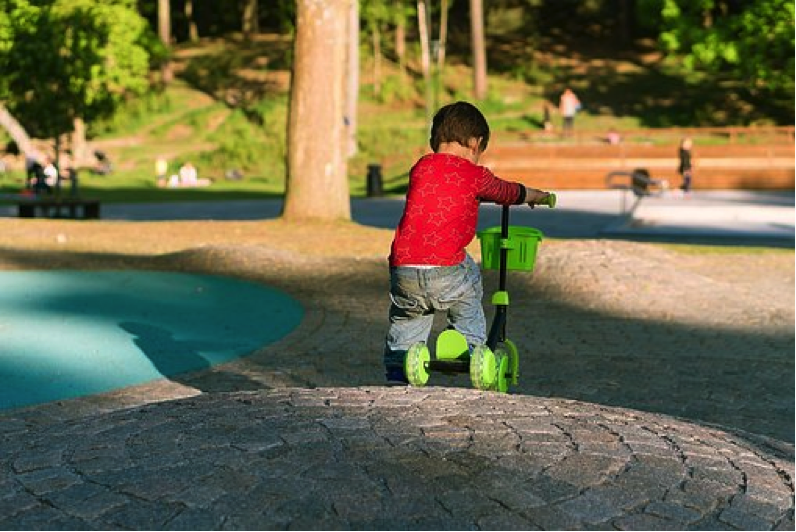 Furthermore, playing with a scooter is sociable as other childrencan join in and therefore your child’s confidence regarding social interaction will also increase. Developing confidence at a young age is vital when it comes to facing the big bad world. Confidence and exercise are not the only advantages your child will benefit from by riding a scooter. Through practising to ride their balance and concentration skills will also improve. Your child will master the art of balancing in absolutely no time, and as far as concentration is concerned, they will learn to pay more attention because they will give 100% concentration to learning to ride their new favourite toy. A final point worth considering is that your child will of course be happy because he or she will be having fun. This sounds obvious, but it is an important point, because at the end of the day everybody wants their kids to be happy. All in all, a scooter is a great toy that will bring endless amounts of fun into your child’s life. Nevertheless, this is not the only benefits it will bring. As you can see from this article; a kids scooter has a lot to offer. Scooters have established a timeless quality to them whereby they are likely to always be popular amongst children. If you are looking for something to provide your child with unlimited outdoor fun, then you will find no better toy. When looking for scooters the first thing you should do in order to narrow down your search effectively is to set yourself a price range. After all, these scooters range in price from anything as small as £30 to anything as big as £200. Therefore, you can rest assured that there is a scooter to suit all budgets. You also need to be mindful that those companies which stock scooters may offer varying prices and thus you should search around a little bit before purchasing. In addition to price, you also need to make sure you seek a scooter which is age appropriate for your child. After all, all scooters come with age ratings and these are there for a reason. If you do not abide by them then you are putting your child in unnecessary danger. For older children, there are also electric scooters, which are worth considering. They provide a whole host of fun and are largely well received by children. And, don’t worry; they don’t go too fast and thus aren’t dangerous. You will also need to concern yourself with the style of the scooter. This is something which is largely dependent on your child’s taste. Therefore, if they have a favourite colour for example, then this decision is made a lot easier. Nevertheless, Scooters in general tend to be very sleek and sporty in design. They have a sophisticated look and a modern edge. This is something which children love because it makes them feel a lot older and you find children all get to that age whereby they dismiss anything which is too ‘childish’. And finally, you need to consider all the different features the scooter boasts. As mentioned earlier, there are electric scooters and thus this is something to think about. Nevertheless, there are lots of smaller features which are very important. For example, you need to look at the breaks and how they operate. You need to make sure that the footplate is non slippery. In fact, there are even scooters which come with a seat as well. There are the fun accessories which make scooters more enjoyable, such as bells. Therefore, these are all little things which are worth thinking about. If you consider all of the points mentioned in this article, then you should be able to narrow down your search and find the best scooter for your little boy or girl. The Kiddy Hub- One Stop Shop for all your kids related shopping! Choosing right products for our little ones always comes across as a challenging task. Whether you are buying things for your own children or you wanna gift it to someone, there is a constant tussle on what kind of product to buy, should we opt for clothes, or do we gift some educational product, do we buy some home decor stuff exclusively for kids or settle for some toys. Most of the times taking this decision means checking out number of shops, or number of websites in case of online shopping, and then comparing and going crazy on what exactly to buy. But no more, leave your children’s shopping woes at bay, and log on to www.thekiddyhub for all your children related gifting solutions. The site offers almost everything you can think of under one roof and thus saves the hassle of checking out numerous shops or websites. They offer everything from customised gifts and home decor options, to great educational products, toys and even clothes. The site also offers wide range of items you may need to plan a party for kids. I was recently in a dilemma when I had to gift something to a 5 year old kiddo for his birthday and this site came as a rescue for me. I actually had in mind to give him something useful, which is both engaging and interactive. I was inclined to give story books and then while searching for books i stumbled upon this amazing thing called as a STORY BOX. 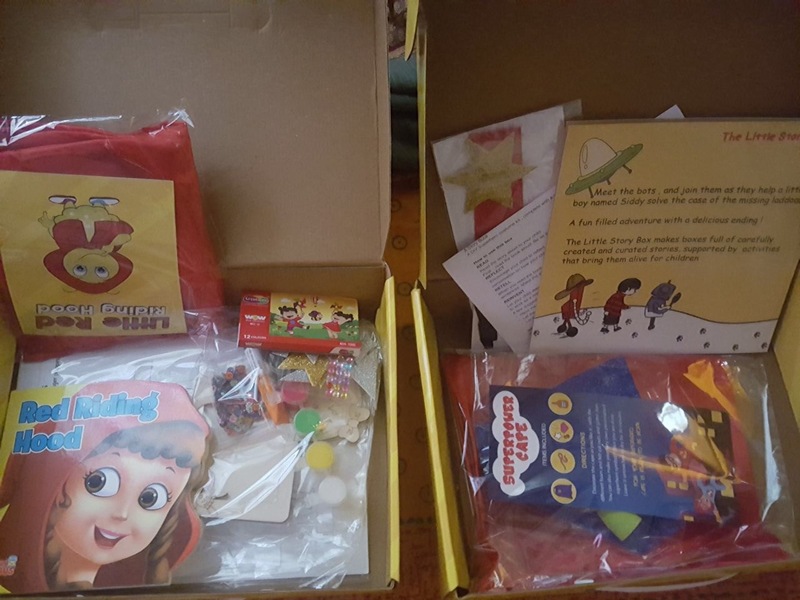 The story box is a great combination of a story book along with perfectly curated activities for your little one to enjoy and understand the nuances of the story and almost live the story in real. I chose two story boxes, MAGICIAN and RED RIDING HOOD. First things first, the packaging was very neat and carefully done. Before gifting it, I wanted to personally check the contents and everything and hence I opened the boxes to take a look. Each item was separately packed and the box also comes with a small bag in order to put all your contents in one place post opening the box. I would also like to highlight, that I found the boxes very reasonable. 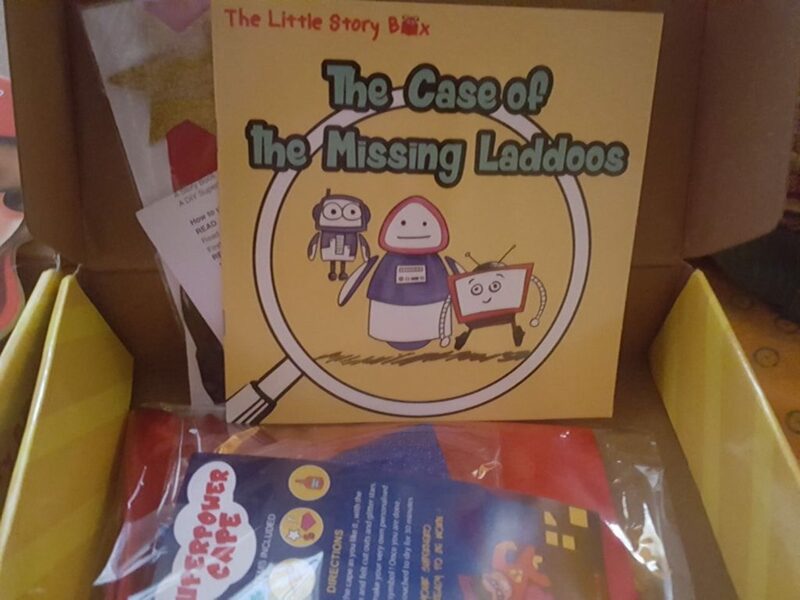 Priced at just Rs 499 for each story box, and the number of contents it has, its totally worth it. 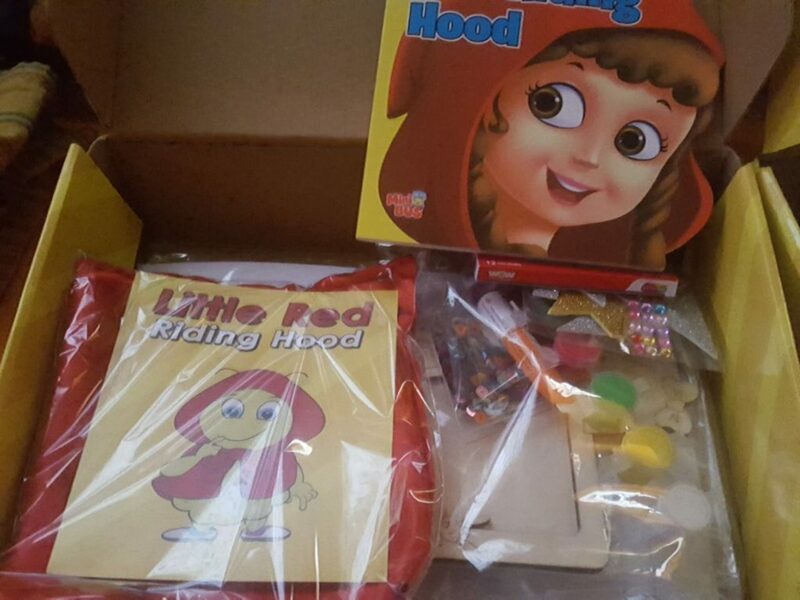 Like the classic tale of Little Red Riding Hood is brought to life with the Little Red Riding Hood box! Read the Little Red Riding Hood Story with your little one , let them retell the story with DIY stick puppets , strengthen their fine motor skills as they enjoy the activity sheets , and let them reinvent their own version as they dress up in a Little Red Riding Hood cape! Use this as an opportunity to reflect , together with your child , on the important topic of strangers and safety. And the people behind this magnificent product are doing a fab job too. Smile multiplier creates children gifts that support a cause , so that you multiply happiness every time you shop for your child. . The cape in the box is made by the benificieries of the Animedh Charitable charitable trust , where less privileged women are given vocational training , to help them transform their lives. Isn’t it a fantastic thing, I mean while you spread joys to your near and dear ones, it also reaches someone far away and make his/her life a little more meaningful. I am totally hooked to this site and I know that whenever I have to buy something for kids, this is my go to place not just because of the products but also because I believe in the cause they are supporting. 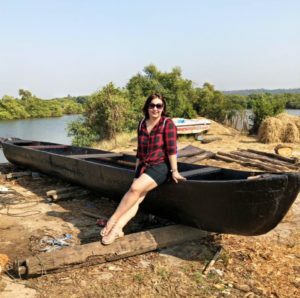 Posted in Lifestyle, Parenting, Product ReviewTagged Children's Products, Gifting Solutions, Gifts for Children, Gifts for Kids, Kids Products, Lifestyle Blog, Lifestyle Blogger, New Products, Online Gifting, Online Shop, Online Shopping, Parenting, Product ReviewLeave a Comment on The Kiddy Hub- One Stop Shop for all your kids related shopping!